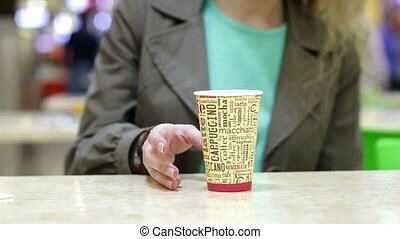 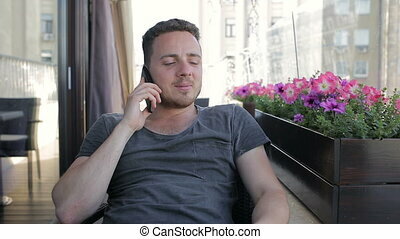 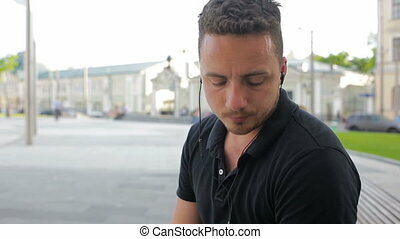 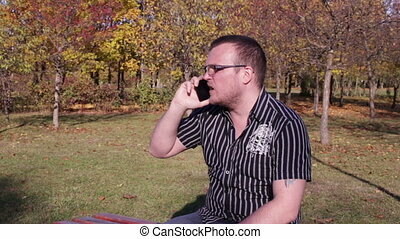 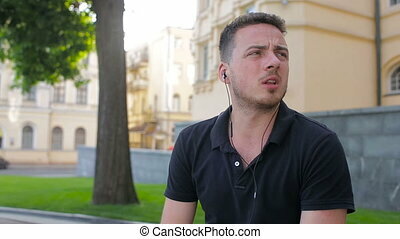 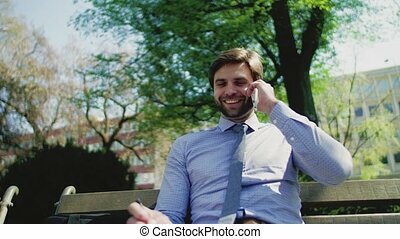 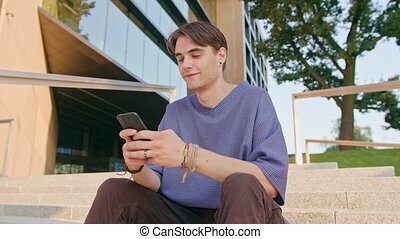 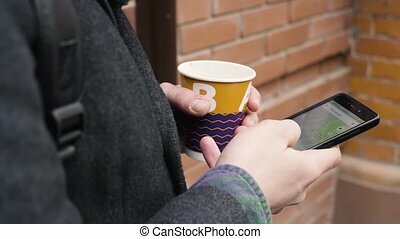 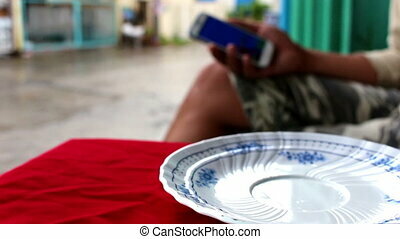 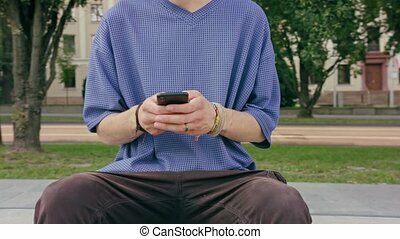 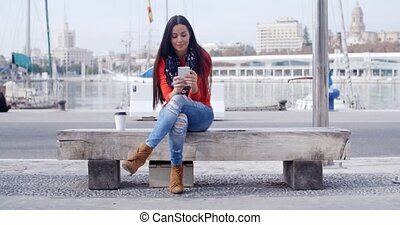 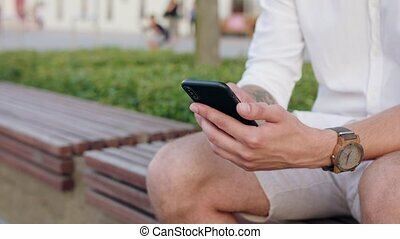 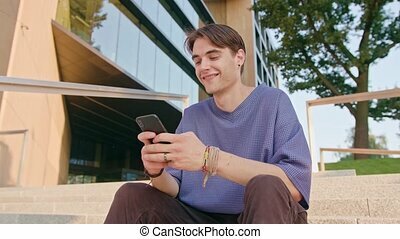 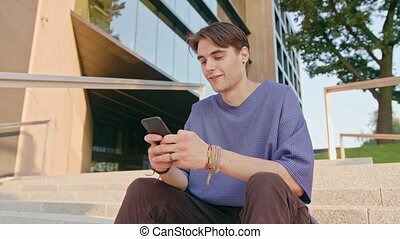 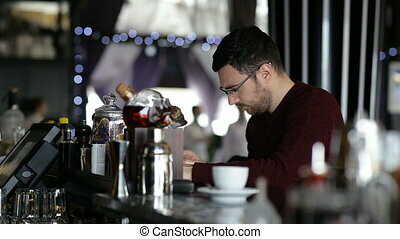 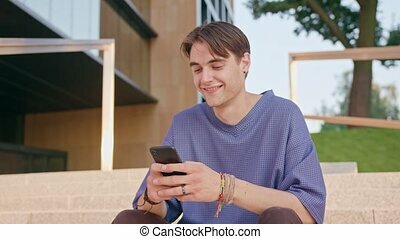 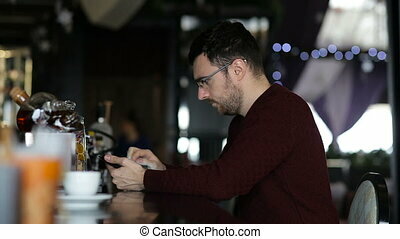 A young man use phone sitting on a bench drinking coffee outside in city. 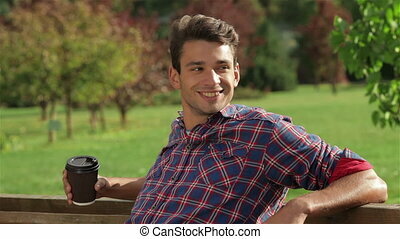 Man with coffee on a bench in the park. 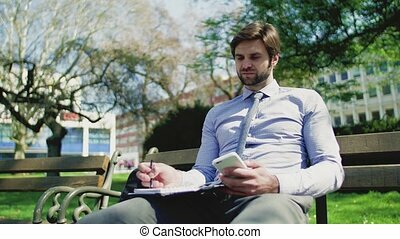 Rest of students or young people in a city park. 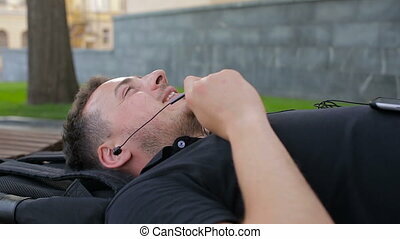 The concept of healthy leisure and recreation. 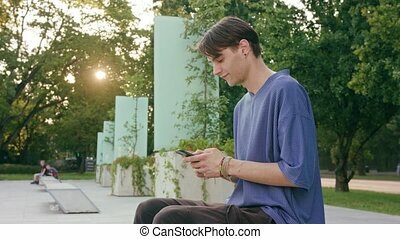 Young Man using a Mobile Phone on a Bench in the City Park. 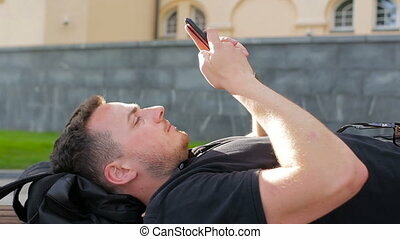 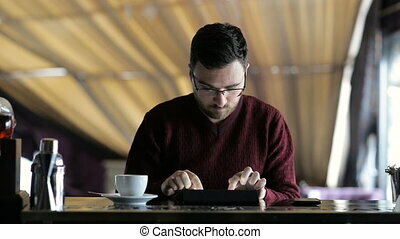 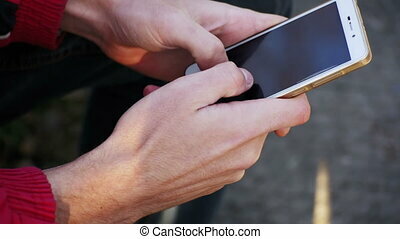 A man holds a smartphone in his hands and controls his finger gestures and looks at social networks. 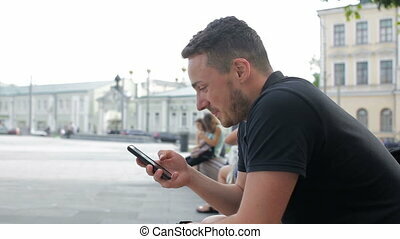 A young man uses a phone on a bench in the city. 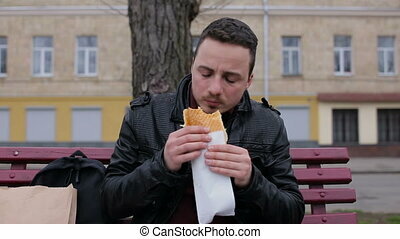 Young man eat hotdog in the city on a bench. 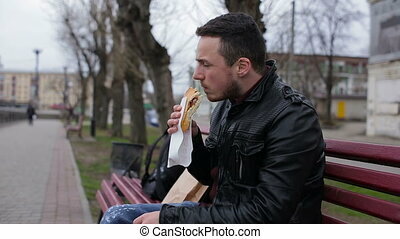 A young guy eat hotdog in the city on a bench. 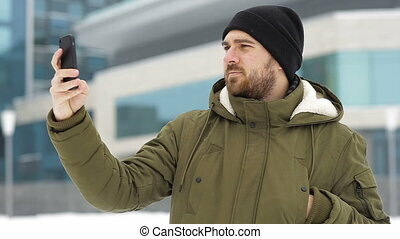 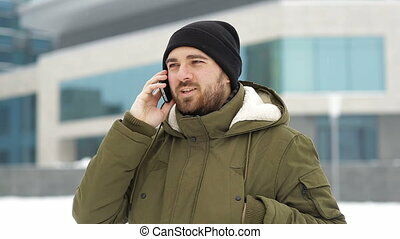 Man talking on a mobile cell phone in winter outdors.